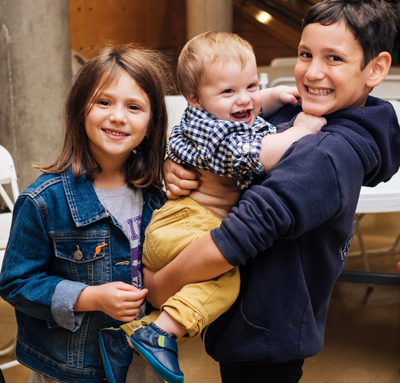 The Jewish Community Center's Youth Services Department works diligently to provide a safe, secure and healthy environment in which parents and care-takers work together to encourage each child to reach his/her full potential. This goal is achieved by offering educationally sound and age-appropriate programs, while also working to instill values and traditions of the Jewish faith in our children. All of our children's activities are specially designed by experts in childhood education to create well-rounded children who are encouraged to pursue their own interests. The Youth Services Department of the JCC embraces children of all ages through a variety of activities.